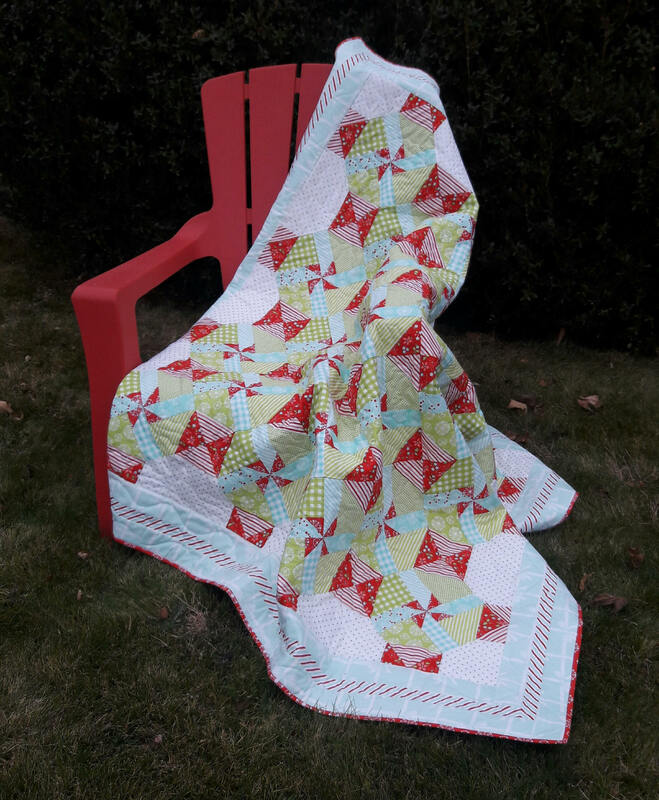 This festive holiday, pinwheel pdf quilt pattern has simple sew and flip pinwheel block set on point. When put together it creates an alternate pattern. Changing up the fabrics for a quilt that can be used throughout the year. 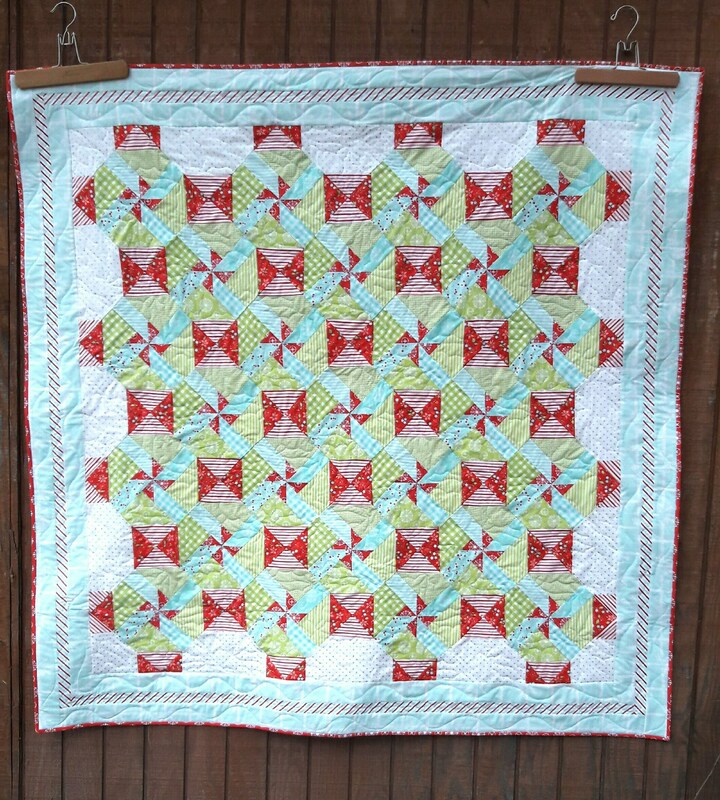 Throw quilt: 61" x 61"